Christmas on the Square 2018! Name: Christmas on the Square 2018! 'Tis the time of year to bring good cheer! Please join the Sunbury/Big Walnut Area Chamber of Commerce and its members as we celebrate "CHRISTMAS ON THE SQUARE 2018." 4:30 - 8pm - Craft & Gift Fair in the meeting room of the Chamber office. Register early. Space is limited! Click link below for entry form to print & mail, call the Chamber office @ 740-965-2860 or register online. 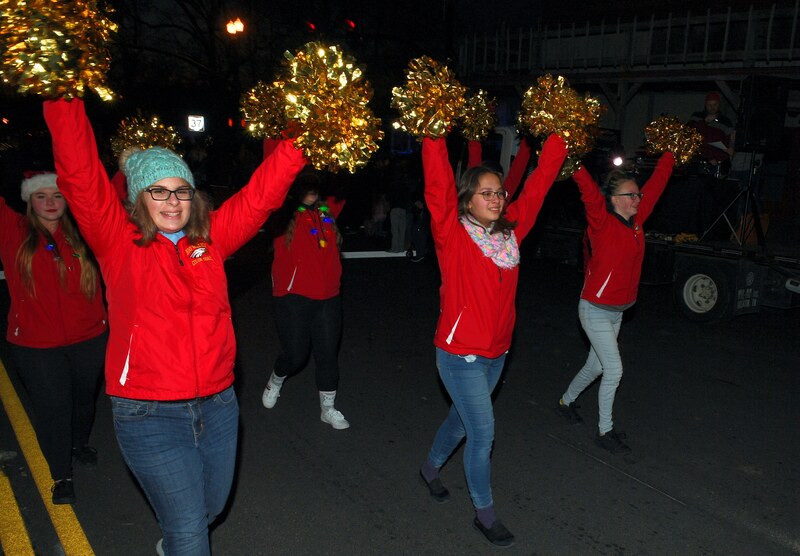 5:00 pm - Lighted Christmas Parade Lineup takes place on Burrer Drive. All parade entries are encouraged to have lights on and throughout their display as the parade kicks off after dark, at 5:30 p.m.
* Parade entries will be taken up until the parade kicks off, but we encourage you to turn your entry in early so that the announcer has time to prepare a script. * For an entry/liability form, click below & print, call (740-965-2860), stop in to the Chamber office on the Square or register online. 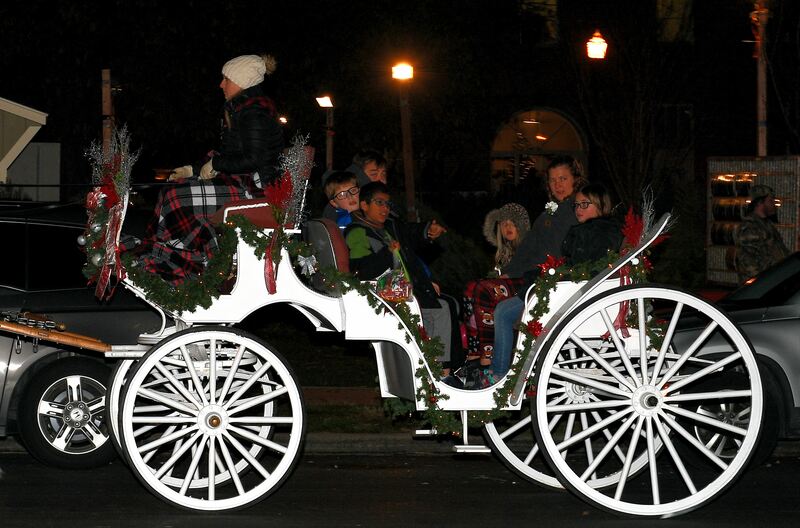 5:30 pm - The night's festivities kick into full gear with the "Lighted" Parade. The parade will kick off from Burrer Drive by the Community Library, head up State Route 37 (or Cherry Street), turn right on Vernon, right on Granville, and back to Burrer Drive. * All other festivities will take place on the Scenic Sunbury Square! * 3rd annual Cookie & Candy Contest sponsored by Forman Realtors, with proceeds going to Friends Who Share. To begin at 6:30pm after the parade at 35 Granville St, in the space next to Jim Hildreth American Family Insurance). * Sunbury Lions Club & Boy Scout Troop 701 hosting their Annual Christmas Tree Sale on the Square to benefit Big Walnut Friends Who Share. 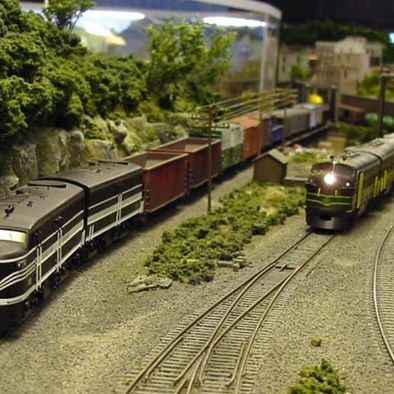 Model Train Display, sponsored by Chamber member Triple J Realty & provided by the Delaware County Model Railroaders Group on the 3RD floor of the Town Hall! * Kid's Activities & more under the big tent provided by Sunbury Christian Church! * Open House & Art Show at the Lex Center of Performing Arts featuring artwork from Big Walnut students. * Open House & Fun Holiday Family Activities at Bright Beginnings Learning Academy on Commerce Drive next to Eagle Automotive. * Holiday family photo booth, crafts & games for the little ones, hot chocolate & cider and a Christmas Tree giveaway @ Contract Processing & Title, 62 East Cherry St.
* Toy Drive to benefit Big Walnut Friends Who Share @ Berkshire Hathaway on the Square, 50 E. Granville St. - holiday treats & hot cider will be served as well! * BWFWS Food Drive - shopping carts provided by Kroger of Sunbury will be on all 4 corners of the Square. * Complimentary pizza under the Gazebo compliments of Jet's of Sunbury! * Tree-lighting ceremony at approximately 7:00 pm on the Square! 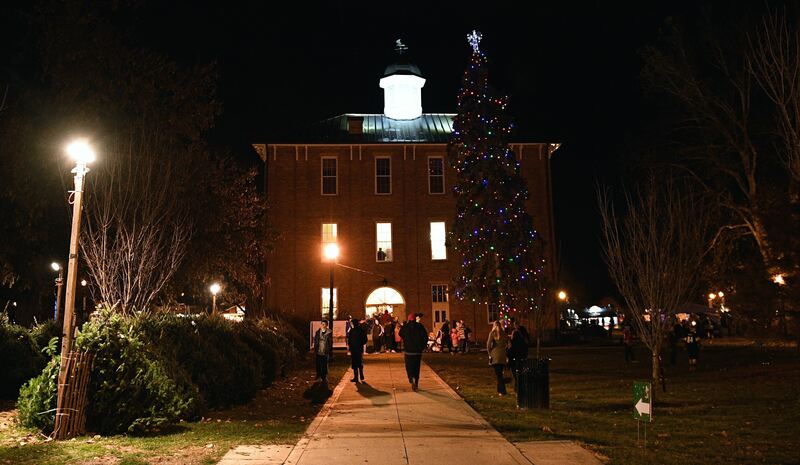 Join Mayor Hatfield, Village Administrator Allen Rothermel and Good 'Ol Saint Nick as they officially light the Village's Christmas Tree on the Square! * Donut Eating Contest! - Join us after the tree lighting a little after 7:00 pm for the Christmas on the Square Donut Eating Contest sponsored and presented by Table Rock Construction. Held just outside of Table Rock Construction on Cherry St. Open to the first 10 people to register. Participants must be at least 18 years of age and sign a liability waiver. * Entry forms are available at the Chamber office, click below to print entry & liability form or register online. * Ice Sculpting by local ice sculptor RockOnIce on the Square from 6-8pm! 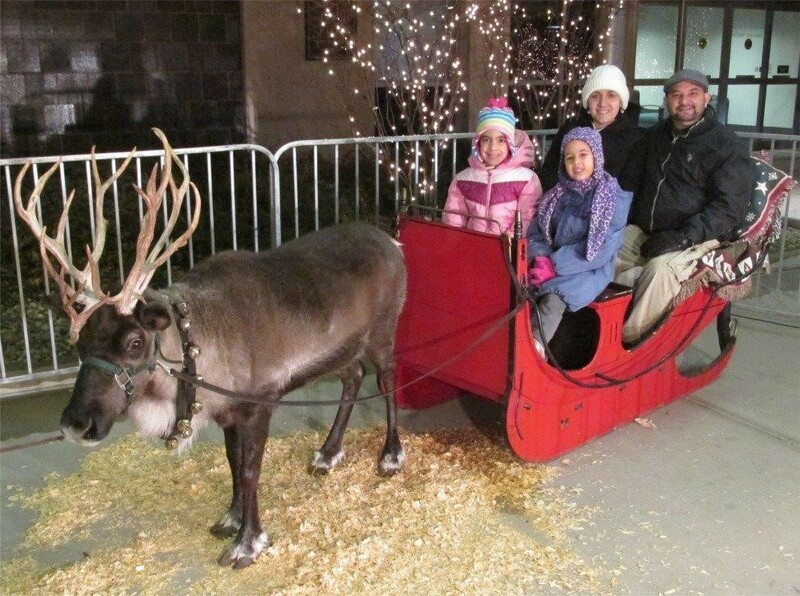 * Visit with Santa and Mrs. Claus inside the Town Hall & decorate Christmas cookies with Sunbury Mayor Tommy Hatfield and his family. We will have food and beverage vendors lining Granville Street. They will be set up by 4:00 pm and open from 4:30 pm to 8:00 pm. Click on link below if you are a food vendor & wish to participate. Space is limited! First come, first serve. On & Around Sunbury Square!